The Declaration of Independence states that “All men are created equal.” In today’s society, most Americans assume this statement to mean that all people are considered equal in all respects, and that equality is the symbol of hope, freedom and the chance of a better life for all. Probably the most powerful and influential piece regarding equality was John Locke’s Treastise on Civil Government, which impacted the development of political theory in America. Locke argued that all men are born according to the rights and privileges of the law of nature. But what does all of this mean today, and is there a difference between equality of opportunity as opposed to equality of condition? In the name of equality, all types of programs have been implemented through the use of governmental power to insure equality of condition, yet, examples abound daily of their ineffectiveness. Join Barb and John as they discuss equality in America – what does it mean and how do we achieve it? Joining Amerika Now during the second hour is author, inspirational speaker, and breast cancer survivor Kathleen O’Keefe-Kanavos, who will be discussing her book, Surviving Cancerland: Intuitive Aspects of Healing. When Kathleen O’Keefe-Kanavos discovered a small lump in her breast, she did what any sensible woman would do–she went to see her doctor, who assured her she was in good health and that the lump posed to no threat. Kathleen was unconvinced, especially in light of the fact that her mother had just recently died from cancer. The reluctant doctor did more tests, and the lump was found to be cancerous: stage 2 aggressive ductile carcinoma. So began a medical odyssey that would take Kathleen on a seemingly endless roller coaster ride of endless fear and frustration, hope and healing, and profound spiritual growth, culminating in her writing and publishing her bestselling book, Surviving Cancerland: Intuitive Aspects of Healing. Warning dreams about breast (and other) cancers have been reported in both dream and medical literature. Kathleen survived her recurring cancer by paying attention to her dreams, asserting her power, and speaking her truth! Tonight Kathleen will share her journey and talk about the importance of dreams as well as offering tips on how to remember your dreams. Kathleen O’Keefe-Kanavos is a three-time breast cancer survivor whose premonitory dreams diagnosed cancer missed three times by the medical community and the tests they relied on. Pathology reports validated her dreams, and she credits her survival to combining conventional treatment with her dreams as a diagnostic tool. Kathleen is a speaker, coach, and nationally-recognized inner-guidance and dream-work expert. She uses her extensive social media reach to help those in need of hope. Kathleen hosts health and spiritual radio programs, counsels callers to the R. A. Bloch Cancer Foundation hotline, blogs for Patheos and Om Times Magazine, and writes a cancer Q&A column for Cape Women Online Magazine. Kathleen has been featured in the article Warning Dreams Preceding the Diagnosis of Breast Cancer: A Survey of the Most Important Characteristics by Larry Burk, M.D., which appeared in the May/June 2015 issue of Explore: The Journal of Science and Healing. For more information, visit http://survivingcancerland.com. CALL 800-259-5791 TO SPEAK WITH KATHLEEN. Internationally-renowned photographer and author, Bill Aron, joins the show during the final hour to talk about his latest book, New Beginnings: The Triumphs of 120 Cancer Survivors. “Conquering cancer is not about cure. It’s about living–living well for as long and as fully as one can.” —The New York Times personal health columnist Jane E. Brody in her introduction. Over 4,500 patients are diagnosed with cancer every day. Not long ago, this diagnosis would have been considered a death sentence, but, thanks to advances in treatment, there are almost fourteen million survivors in the U.S. Hearing the words “you have cancer” no longer has to mean an end to your life. Instead, it can mark the start of a new beginning. Bill Aron’s New Beginnings: The Triumphs of 120 Cancer Survivors is for and by those who have endured one of the greatest hurdles of their lives. Featuring a collection of narratives and photographic portraits of men, women, and children as well as families of varied ages and ethnicities, New Beginnings will inspire hope in its readers. Bill Aron will share his own story of survival as well as some of the other stories of survivors in his book. He’ll talk about what we can all learn from the 120 cancer survivors who shared their stories, as well as the message of hope found in his book. 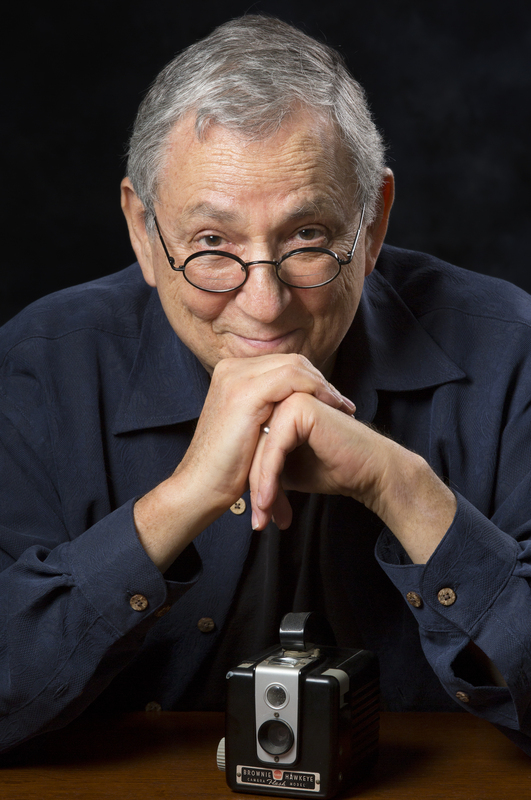 Bill Aron, himself a 20-year cancer survivor, is an internationally renowned photographer and author. His photographs have been exhibited in major museums and galleries internationally including the Museum of Modern Art, the International Center for Photography, the Chicago Art Institute, and the Boston Museum of Fine Arts. Aron’s books include From the Corners of the Earth, Shalom Y’All: Images of Jewish Life in the American South, and his latest, New Beginnings. Aron lives in Los Angeles with his wife and two sons, where he is quite possibly the only photographer with a Ph.D. in Sociology (University of Chicago). For more information, visit http://billaron.com. CALL 800-259-5791 TO SPEAK WITH BILL.